Ohhh my goodness, this is such a fun box… everything you need to make cocktails?! Ummm hello?! 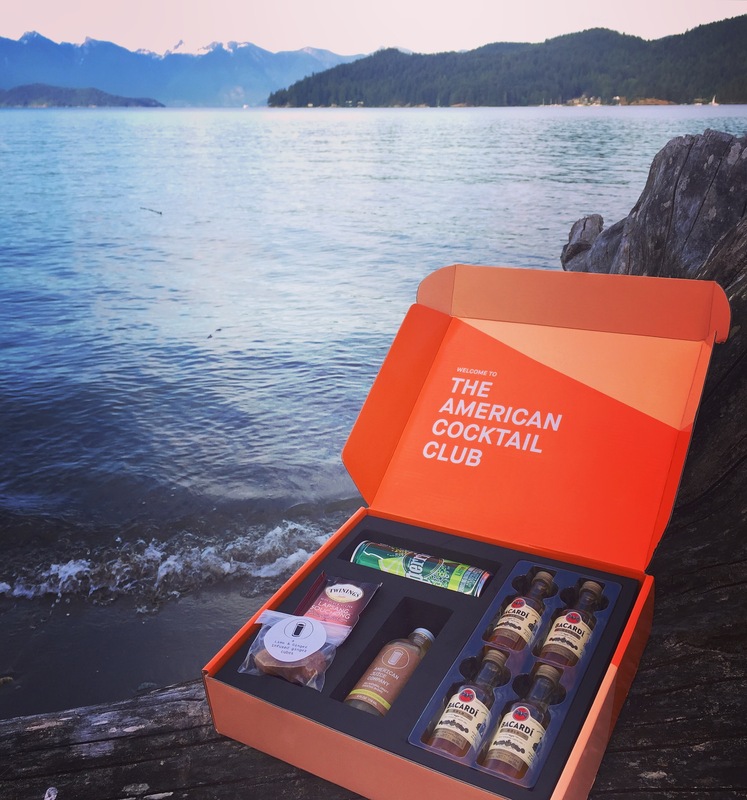 The American Juice Company sends you all-natural cocktail mixers to make new and exciting drinks, you are finally given all the tools to make a fun cocktail without owning a massive supply of bar ingredients! Just add ice, spirit and mix and whatever other ingredients they provide for a cocktail your sure to have never tried. With fresh ingredients, fun garnishes and the perfect mix, you are set to impress! This is the Cocktail of the Month set, it’s perfect if your into mixology and experimenting behind the bar for yourself or to show off in front of your friends! It includes 4 servings, and is all natural with award winning recipes. In this box we have the Ginger Gershwin mix with Rum, ginger cubes, tea and the recipe to make an awesome new drink. They have an awesome online store with fun bar products like mixing glasses, long spoons, copper shakers and more! You can also purchase any of their mixes then just look up their recipes for some fun new cocktail experimentation. They have their Red Carnation which is a mix of pom, lemon and orange juice, just mix with Bourbon for their Belmont Jewel cocktail. Then the have apple, pumpkin, lychee… so many different combos to make that perfect cocktail! They even have a Salted Espresso Martini Syrup, sooo good and they all start at $5.99 for a 4oz.